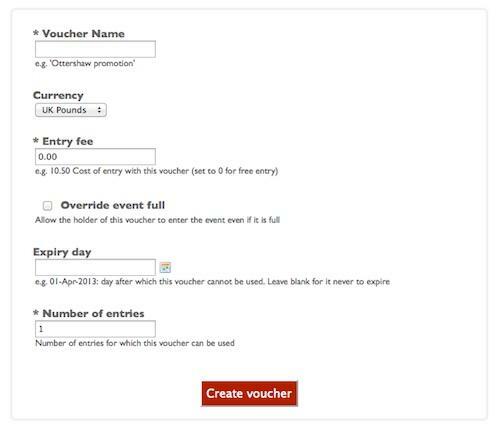 You can set the number of entries allowed with your voucher. Once created you get a link that you can send to your chosen recipients - they click on it and are taken straight to the entry screen. You can change voucher properties at any time, and keep an eye on how many people have entered with the voucher - entrants who entered with a voucher will be marked on your payments report. Finally, we automatically ensure that the voucher cannot be used in combination with other discounts you set up (such as bundle discounts or bulk entry discounts).